Update: Previously we mistakenly reported that KCRW would broadcast the live session on Friday, March 27th. The broadcast of this show will be on Friday, April 3rd. I had never been to the Apogee studio before. It is not the Echo. It is a shimmering private room that fits about 100 people. 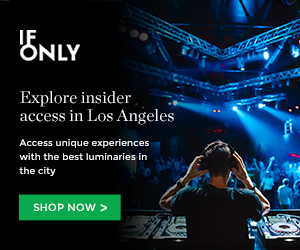 The sound system is pristine, the guests wear suits, wine and artisanal cocktails are plenty and KCRW has used the space for intimate shows with greats like Beck, Chromeo, Nick Cave & The Bad Seeds and Ryan Adams. I should have done my research. So there I was, munching on hand-crafted kettle corn and drinking something called a Tipsy-Poppy waiting for Toro y Moi to start. His newest singles hint at a new transition. He’s ditched the keyboard for the guitar. Whereas his past music seemed built out of synths, now he is seeing what it’s like to start with the six-string. When Toro y Moi made their way on stage there was a respectful and classy decibel of applause. “We’re playing the whole new record tonight,” Bundick said, “hope you like it.” I, for one, was just glad that Bundick was dressed as casually as I was; an off black t-shirt with a faded green chest pocket. I was saved. The music was strong. It was the first time I had seen Bundick play the guitar. He didn’t thrash physically, I don’t think he could, but he certainly played with purpose. Some tracks, like the single “Empty Nesters” sports a riff that seems more apropos on a Tame Impala recording, but Chaz fits it into his aesthetic. I never thought I would point out a guitar solo on a Toro y Moi record, but “Spell It Out” quickly converts skeptics. There is still the deep funk bass that we’ve come to expect from someone who can move a track like “Still Sound” with little less than vocals and a quick low-line. After five tracks, Bundick sat with KCRW’s Jason Bentley for a short interview. Mr. Bentley looked very dapper and I couldn’t help but notice, in their juxtaposition, the stark contrast of venue attire and sonic attire. Toro y Moi’s music doesn’t require you to wear a vest, but this gorgeous space certainly does. Then again, I was probably just trying to console my shlumpy self. Bentley also mentioned Chaz’s side project Les Sins, “We were djing in Palm Springs,” he reminisced, “and you said, ‘I want to play you the new Les Sins record,’ and I said, ‘sure, why not,’ but you insisted that we had to get high first! I remember I said, ‘Chaz you know I don’t… okay fine.” Any thread of vested swank disintegrated right then; the place erupted in laughter. The interview wrapped up and we heard the back half of What For?. I would try to describe it, but you can hear it for yourself. KCRW will be broadcasting the session on Morning Becomes Eclectic on Friday April 3rd. Not sure if they’ll broadcast the Palm Springs anecdote, but I hope you’re wearing sweatpants when you hear it. This entry was posted in Featured Stories and tagged apogee studio, kcrw, toro y moi on March 25, 2015 by Ziv Biton.